How are our schools ensuring that students finish high school with these skills and the knowledge they’ll need next? Washington schools use a set of expectations that lay out what students should know and be able to do to be ready for their next step, be it additional education or a job. The standards are a clear set of real world math and English concepts that students need to know to be prepared to succeed in college, work, and life. They focus on deeper learning and encourage students to get curious, ask more questions, and engage in ways that will help them when they enter postsecondary education and the workplace. Standards are a roadmap that lead our students toward readiness for life after high school. Each teacher and school have the freedom to innovate regarding how they teach the standards, and having high expectations in place helps ensure a foundation of knowledge for all of Washington’s students. Learn more about these standards here, including resources for students, parents, and teachers. How do we know if students are learning these foundational skills? 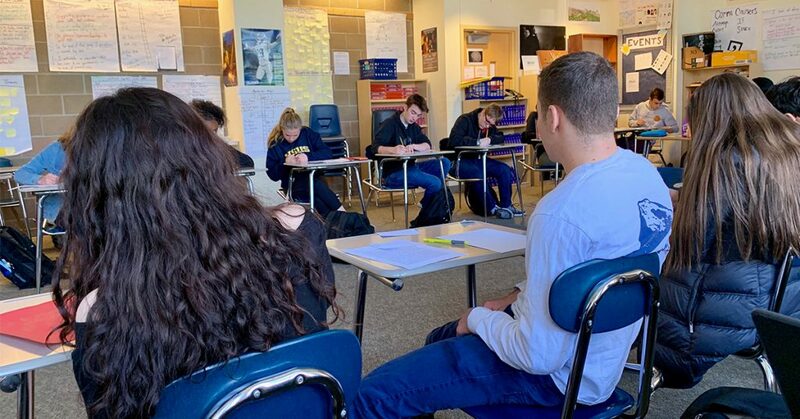 Each spring, many students across Washington state take the Smarter Balanced assessments, which measure student progress toward meeting the expectations the standards set. These assessments are one tool for students, parents, and teachers to know how students are doing, and whether they are ready for more challenging coursework or need a little extra help to stay on track. Think about learning standards and assessments like a trek to the summit of Mount Rainier. Before setting out, climbers need certain mountaineering skills and equipment. The specifics can vary, but the basics are the same—food, water, and emergency skills, for example. Tests come along the way, with challenges like blisters, less oxygen at higher elevations, and weather. Strong preparation allows hikers to make it to the top successfully. Similarly, setting expectations for our students and measuring their progress along the way allows them to summit their public education experience with the foundation of skills and knowledge they’ll need for their next educational and professional adventures. Do you have questions about our state’s learning standards or the Smarter Balanced assessment? Please contact us so we can address them in future posts.